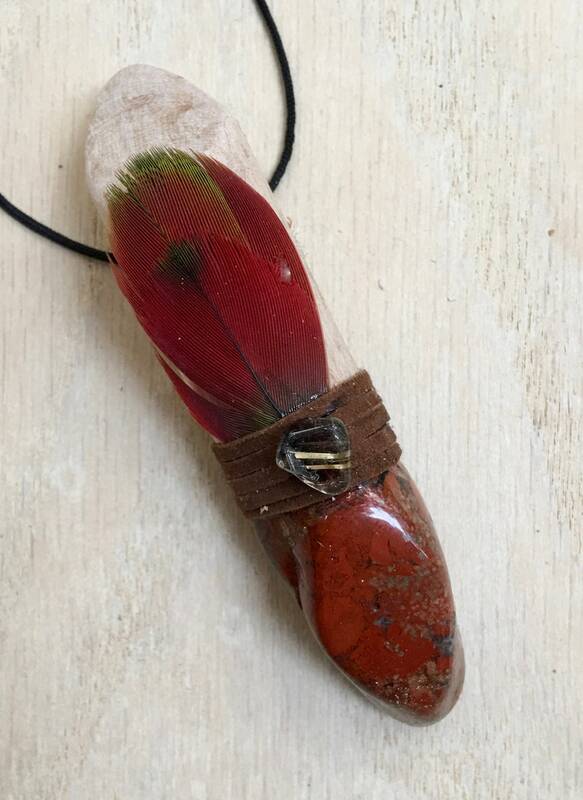 Grounded Growth - Assists with Healing, Calming the Emotional Body & Raising Spiritual Awareness; Aids in Creating a Deep Connection to Mother Earth, the Elementals & the Universe; Enhances Grounding & Offers Protection; Encourages Focus, Determination, Passion, Manifestation & Creativity. Buckeye Maple Medicine – Very connected to the Elementals. Great for medication and healing. Encourages the gathering of right energies to create positive circumstances. 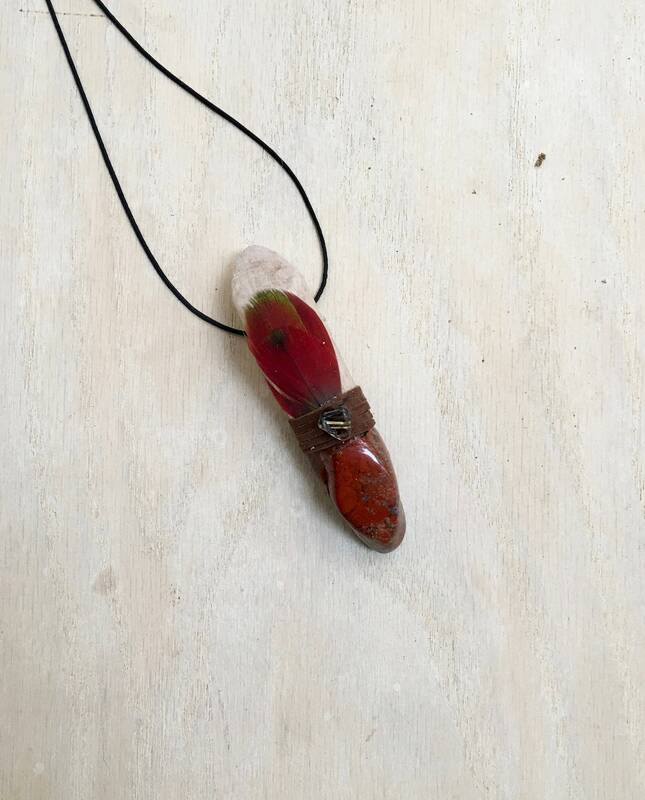 Red Jasper - known as the Stone of Endurance, a gentle, but vital, stimulator of chi, or Life Force, bringing physical strength, energy, stamina, focus and determination. Its steady frequency calms the emotional body creating a lasting, stable energy for improving health or overcoming illness, setting goals and following through to completion, facing unpleasant tasks and having the courage to rectify wrongs. Activates the Base Chakra and stimulates the rise of the kundalini energy throughout the chakras, cleansing and strengthening the aura. It is a stone of passion, useful for restoring and rejuvenating the libido, and in manifesting creative ideas. 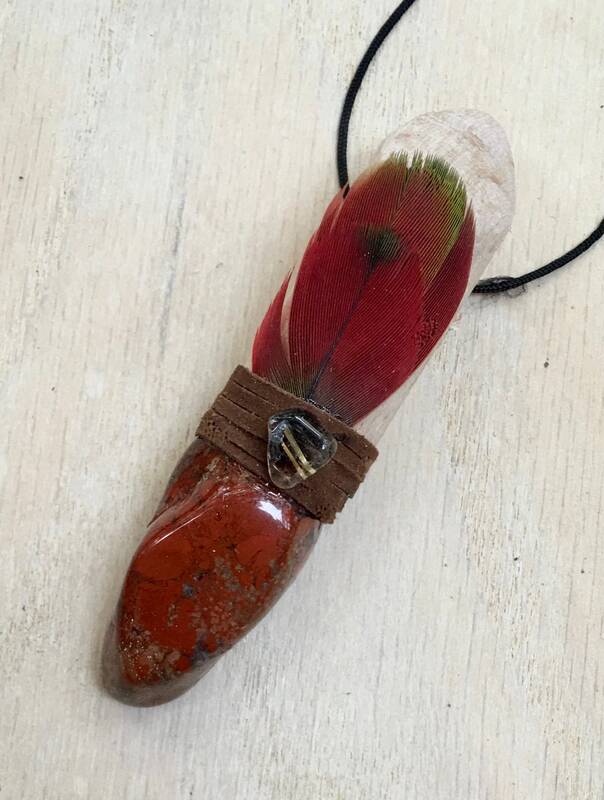 It provides vivid dream recall and is a powerful stone for those who work with Earth energies to make a deep connection with Earth spirits and guardians. Rutilated Quartz w Cacoxenite - manifests beautiful inclusions within a Quartz, and forms as radiated tufts or strands of yellow, gold or earthy brown. Its presence expands the properties already emanating from the Quartz and adds its own remarkable dimension of spiritual evolution and connection. Known as a Stone of Ascension, Cacoxenite is believed to raise the spiritual awareness of the human race and to provide a loving and ethereal connection between all of the universe. 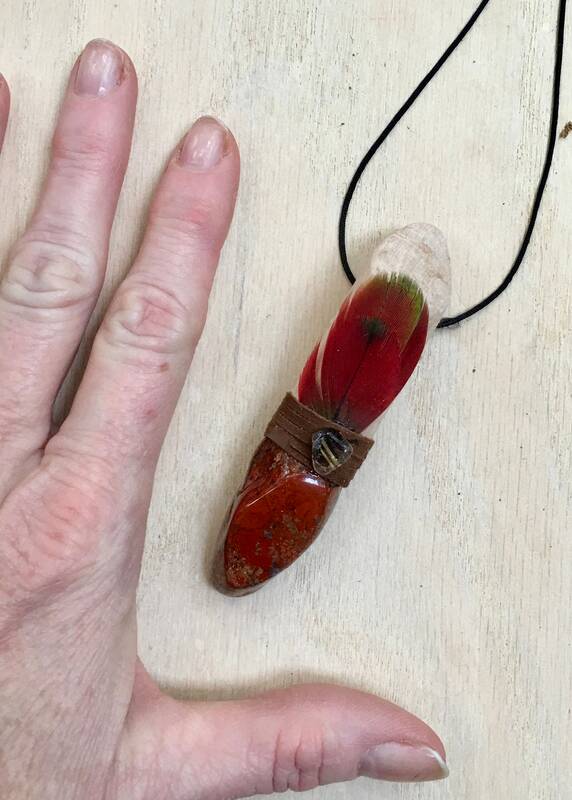 2.25 inches long; Red Jasper 1 inches.